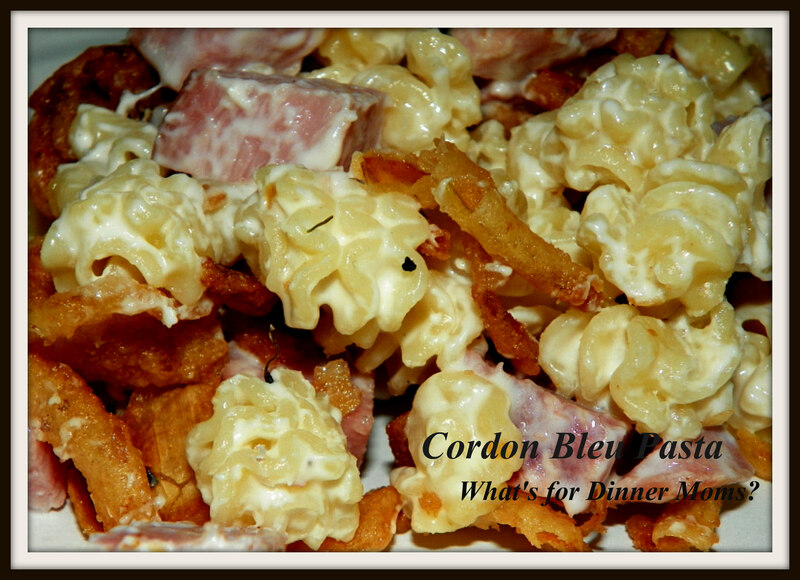 Cordon Bleu Pasta – What's for Dinner Moms? So, a Mommy moment. As part of his Autism my son struggles with vocal issues. He has trouble realizing how loud his voice is, his inflection tends to be very flat and monotone and he has never been able to sing, at all. He could technically “sing” but it wasn’t very good as he couldn’t figure out how to match the pitches and make his voice move up and down like it is supposed to when you sing. Three weeks ago he came home and told me he was auditioning for his school’s production of the Lion King, Jr. I was terrified. But, he went to every rehearsal, he practiced day and night (at 3 am a few nights ago), listening to the CD and watching the videos on YouTube. He auditioned earlier this week and was cast as Scar! I am beyond proud of him and how hard he has worked so far. I know it is not over by a long shot but I am incredibly proud of how he figured it out on his own and really worked for what he wanted. To me it is another break through on this long, long road he is on. When I saw this recipe for Pasta Codon Bleu on topwithcherries.blogspot.com, (click for link to original recipe) I had to try it. My family is still into comfort food lately as we enter our busiest time of year. As the school year enters the last month and a half all the concerts (and now a play), recitals, testing, and school events are ramping up. Also, my daughter starts Feis (Irish dancing competitions) season through November next weekend. So they are all still looking for those warm comfort foods. This was warm and creamy. It had all the Cordon Bleu flavors minus the chicken. If you wanted to throw chicken in to make it Chicken Cordon Bleu that would be fine but it really wasn’t missed at all. Of course I changed the original recipe up just a bit but it was super easy and in the oven with about 15 minutes of prep work. I served this with a side of green beans and a green side salad. For my mostly gluten-free son I made this with gluten-free pasta and no fried onions. If you want a crispy topping, which he did, use gluten-free bread crumbs spiced with Italian spices and a bit of melted butter so they brown better. Preheat the oven to 350. Grease a 13 x 9 casserole dish and set aside. Bring a large pot of water to a boil over med-high heat. Salt it and add the pasta; cook until al dente Drain and return to the pot. Add in the ham and toss to combine. In a medium saucepan, combine the half and half, cream cheese, Dijon mustard and minced onion over low-medium heat. Cook, stirring frequently, until it becomes a smooth texture (about 6-8 minutes). Stir the cheese sauce into the pasta mixture. Stir in the Swiss cheese and season with salt, pepper, garlic, onion powder and Dijon to taste. Transfer pasta to a baking dish and top with Durkee French Fried onions. Bake for about 15-20 minutes until warmed through. Big congratulations to your son. That is such an achievement. Hope he has a brilliant time. And thanks for the yummy recipe!! That is wonderful and I can see why you are so proud!!!!! Congratulations to him! What a busy and lovely month you guys have ahead. Thanks but I guess we are all more productive and organized the busier we get! Wow! What a fabulous twist on pasta, Marci! YUM!! Yeah. I came here just because I saw crispy fried onions and it looked SO GOOD. Yum! Pingback: Lion King Jr. and Another Hill Climbed – What's for Dinner Moms? Pingback: High School Musical Jr. – What's for Dinner Moms?